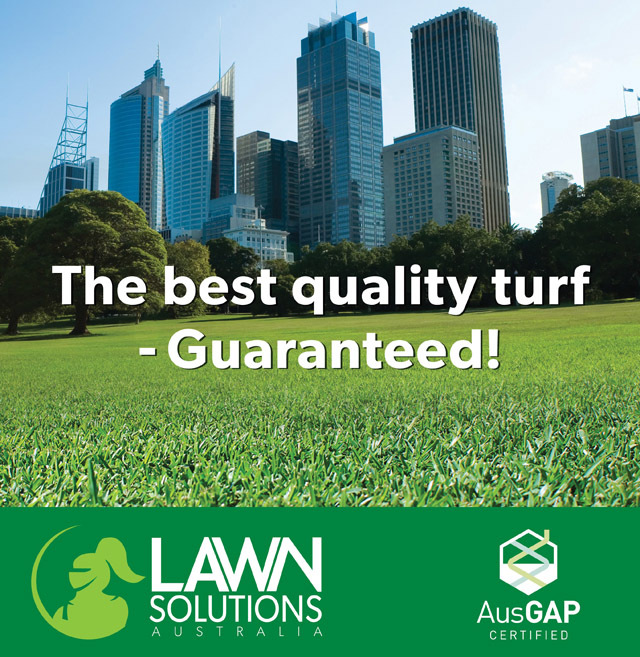 Lawn Solutions Australia (LSA) is a national group of Australian family turf businesses who have come together under the one banner to produce and supply premium turf varieties to the Australian market. As a group, LSA members are responsible for over 50 percent of turf production in Australia, specialising in a wide variety of applications across all climates. With over 40 member producers in six states, the LSA network extends to almost every market in Australia. LSA members offer far more than just turf; they have a team of technical professionals who are on-call to ensure you get the support you need for your project to run smoothly, offering assistance and advice in everything from turf variety selection right through to after-care and maintenance procedures. LSA has the largest turf research and development program in the Southern Hemisphere and has strong relationships with several high-profile international turf breeders, including the University of Georgia and Texas A&M. This highlights LSA’s commitment to ensuring member producers have access to the most environmental and economically sustainable turf grass varieties in Australia. All LSA's turf varieties are accompanied by the industry's only 10-year product warranty. This offers consumers peace of mind and assurance that the product will perform to its maximum potential in a new environment. Consistent branding and quality make for simpler specifying. Regardless of your location, specifying a LSA turf variety will ensure you are selecting a variety that is tried and tested in those conditions and has been hand-picked by the local turf farmer in that region. All LSA members must have 100 percent of their production crop certified by Australia’s largest independent turf certifier — AusGAP. AusGAP Certification ensures each turf business adheres to a strict set of quality control and compliance guidelines in all facets of their business, from turf production through to Work Health & Safety. AusGAP annually inspects members' production facilities.